It isn’t often I am legitimately confused by a columnist or writers point of view. When did the Triple Crown become an achievement not worth celebrating more? First some background: it started a little less than three weeks ago when I happened upon this ESPN question article on who is more deserving of the American League MVP. The responses were astounding as comment after comment and tweet after tweet scoffed at the notion that this is even a discussion. Mike Trout was certainly the MVP because he has a WAR (Wins Above Replacement) over 10 and that in and of itself is the starting point for where all debates should start. Lets get something crystal clear here: I am a statistical fan and even I have to call it on this one. Did we forget that one of the components is defense and while Trout, a stud defender in center, played his natural position, Cabrera, an established veteran, multiple time All-Star and World Series champion conceded his position so that Prince Fielder could come over in a signing to give the Tigers a shot at their first title since 1984. 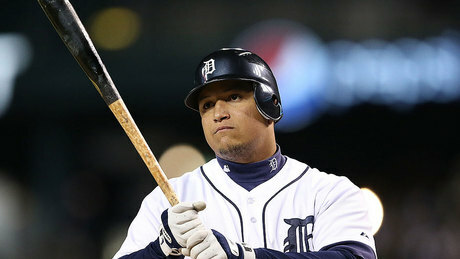 Should Cabrera be punished for that? If you think so you don’t know much about what you’re saying. Let us also not forget what is actually happening this season. We could see the first Triple Crown winner since 1967. Carl Yastrzemsky was the last to do it 45 years ago. Only 15 have done it in the history of a game that began back in the 1800’s. How dare anyone try to downplay the historical significance of what is about to occur. The last time a player won the Triple Crown and didn’t win the Most Valuable Player Award in the same season was in 1947; and I can assure you if they had that vote to do all over again they would realize what a mistake it was to give it to the great Joe Dimmagio that season. I’m not saying Mike Trout is having a pedestrian season by any standard. As rookie seasons go I would say he is having the greatest of all-time. But lets gain some perspective here; Cabrera has a higher On-Base Percentage, struck out less (fewer than 100 times this season as a power hitter), and of course leads in all the power categories. He also leads in one of the more important statistics as well. His team did just clinch the American League Central Division. All while putting up an MVP-esque .417 batting average, .462 OBP, slugging .917 and hitting two home runs with four RBI’s to seal the deal for the Tigers. Mike Trout will have his day, and he might swoop in and, inexplicably, win the MVP award. But please, national media, do us all a favor and recognize the hitters Triple Crown for what it is. Insanely hard to accomplish and a historic achievement for the ages. Next Post Teddy Wins The Race!